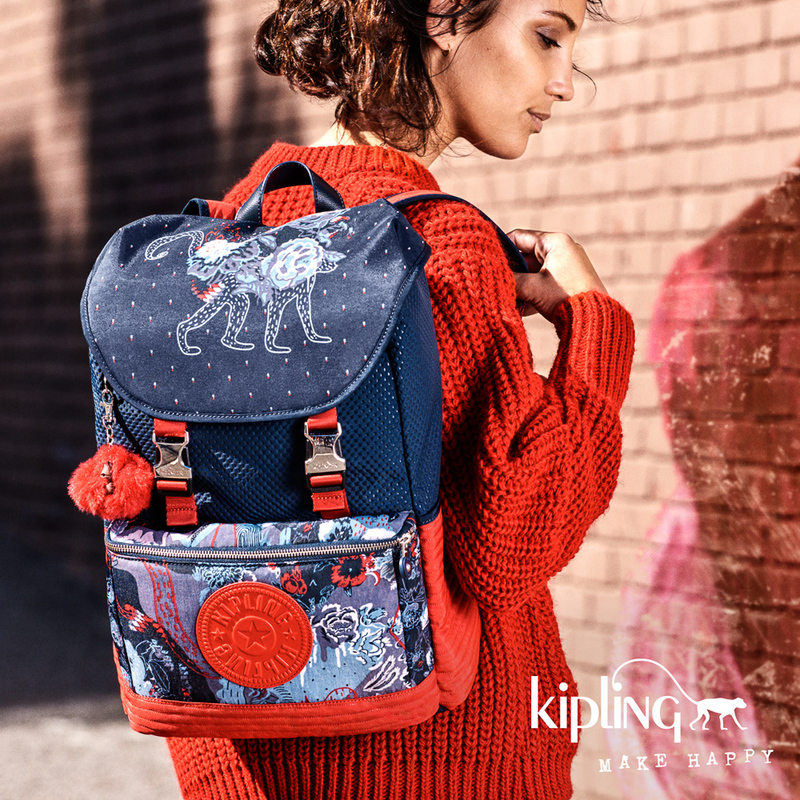 The Fall 2016 collection of Kipling is finally here! It’s made of different collections plus they’re also launching the special collaboration with Canadian painter and illustrator, Alexandra Levasseur. Take a look at some of the bags & accessories that make up each collection. This collection is the perfect match for any professional women balancing they work and home life. With rich and luxurious coloured designs and an added key feature of padded shoulder straps, this collection offers lightweight and diverse styles that help ease the load off any one’s shoulders while allowing easy pairing of outfits throughout the week. I love it when you don’t need to change bags from weekday to weekend. 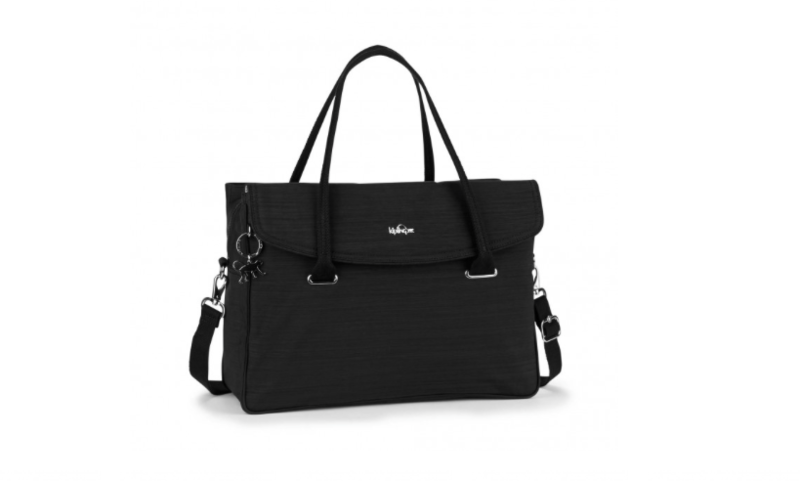 Being organised on-the-go has never been easy with the Superwork tote. 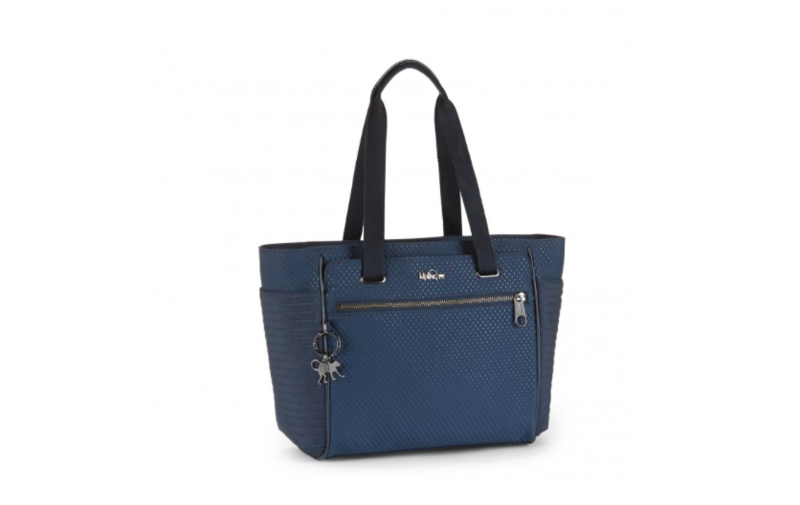 Its got key organisational features–the tote boasts an adjustable cross body strap as well as functional pockets which features an array of practical organisational compartments and holders, keeping essentials safe and easy to locate. Designed to bring happiness, functionality and the perfect accompaniment to any outfit, the Basic Plus Capsule Collection features key trends of the season while providing practical styles for women to create different looks. In this collection, popular shoulder bags and backpacks come in Berry hues and a rich palette of fierce Red and elderberry or autumnal pops of Plum and Yellow,, providing a more feminine look. Alluring prints with emboss have also been infused into the capsule collection to add texture and give the collection an elegant look. 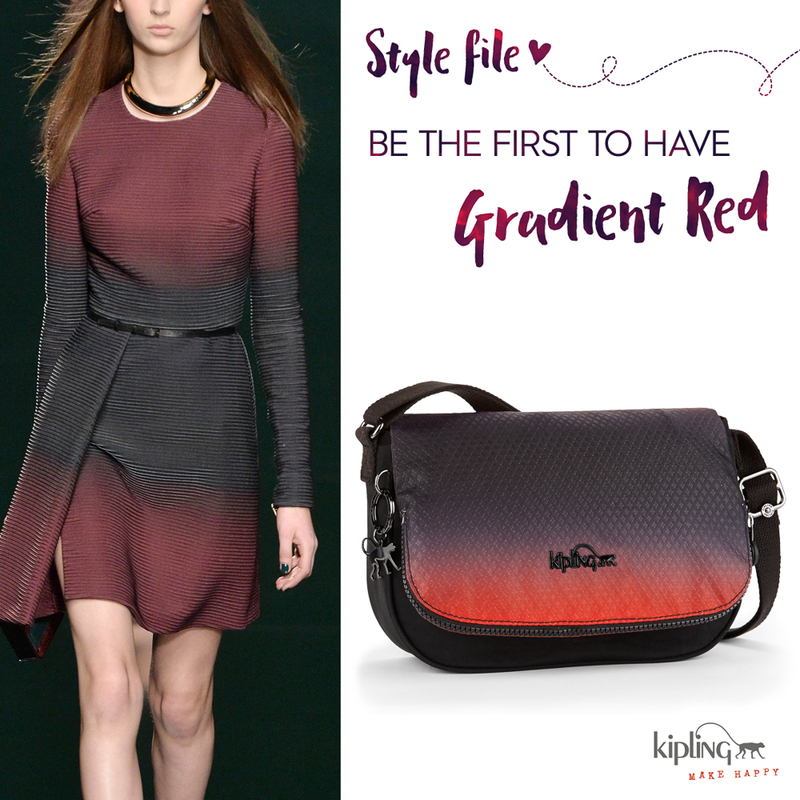 A new addition to Kipling’s vast product offering is the Faye Fever bag, a chic embossed and printed nylon designed and created by heated embossed rollers, giving the range a unique 3D look that comes in warm fall hues as well as stunning gradient pink, which makes it wearable for all occasions. 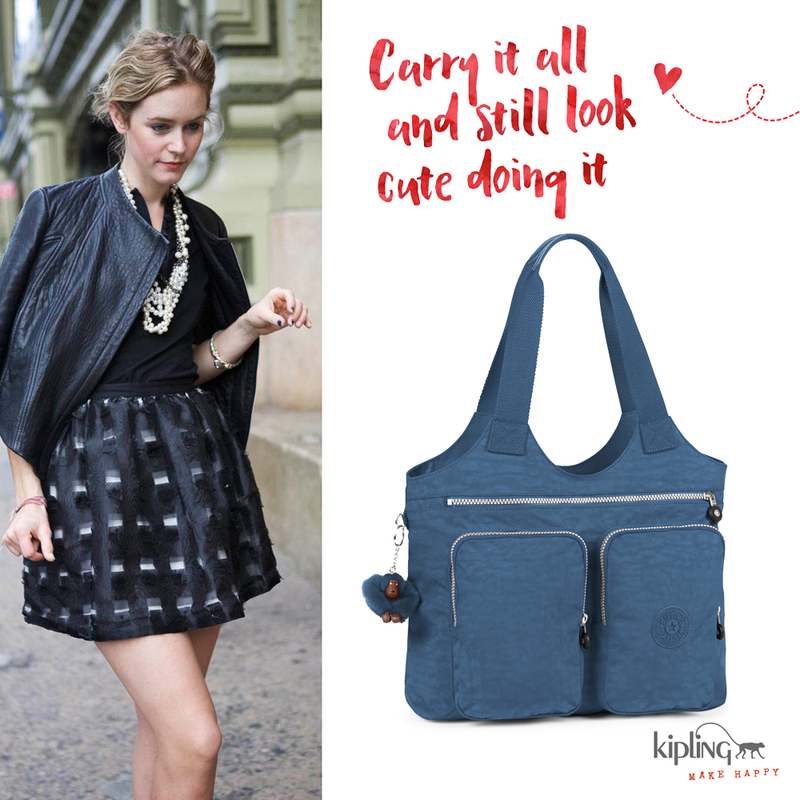 Another newcomer to the Kipling family is the Orintia bag which features an array of practical organizational compartments like an improved side and and zipped pockets for added security. Rounding off the capsule range is the Earthbeat bag, a chic cross-body bag in ombre print that creates a beautiful blend of the season’s colours. 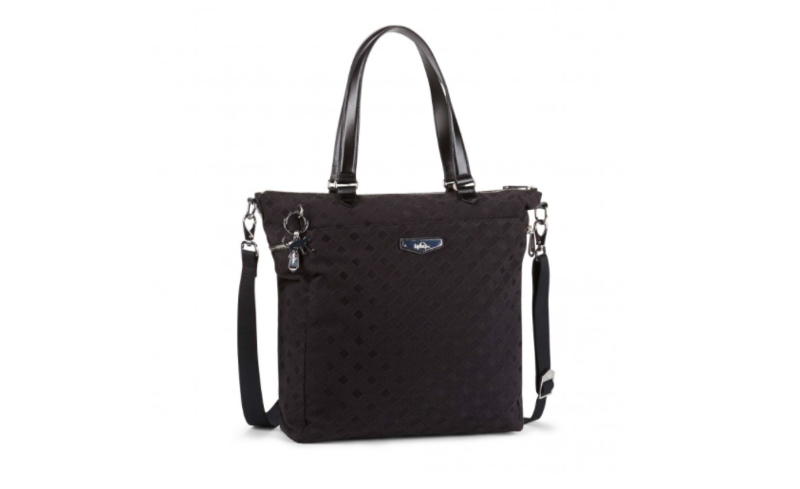 Also equipped with a large zipped flap pocket with a magnetic closure, this spacious design allows women to head out with ease and practicality. It offers a stylish twist to Kipling’s renowned mascot in a durable silver hardware monkey key chain, providing a more sophisticated and polished finishing. This range consists of dynamic, casual accessories that are ideal for any adventure. Bright seasonal shades adorn new key pieces such as the Elysia bag in Berry, which is a fresh style modified from Orelie, Kipling’s best-selling handbag. 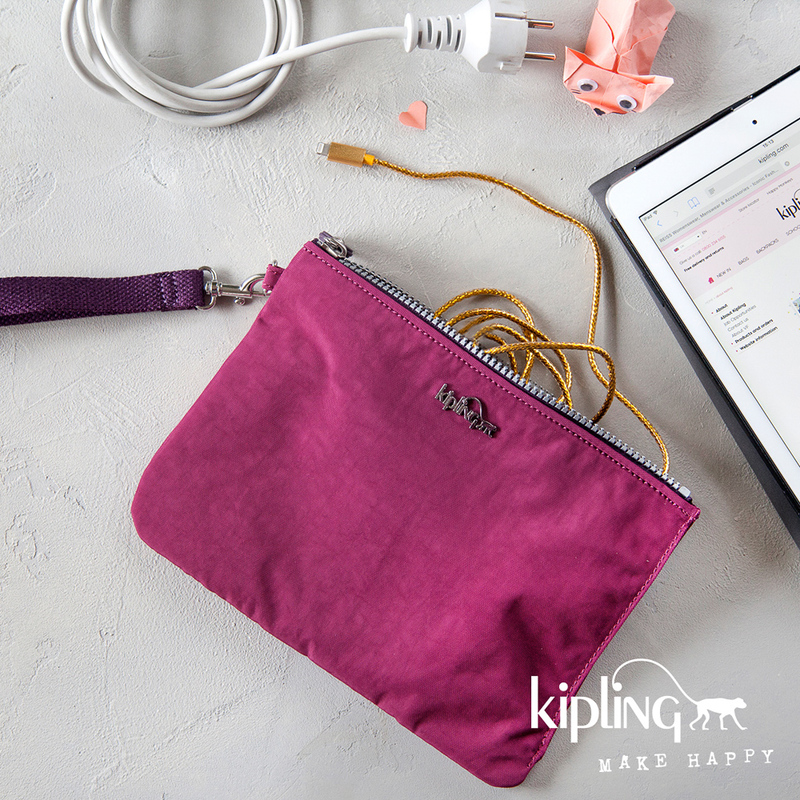 Also available is the Syro in Plum Purple, providing essential spacious compartments to organize every day essentials, while the Brownie purse in Berry allows carrying around valuables in a compact yet stylish wallet. Completing the range is the stunning Korea Dot Print, a new print for Kipling Asia. 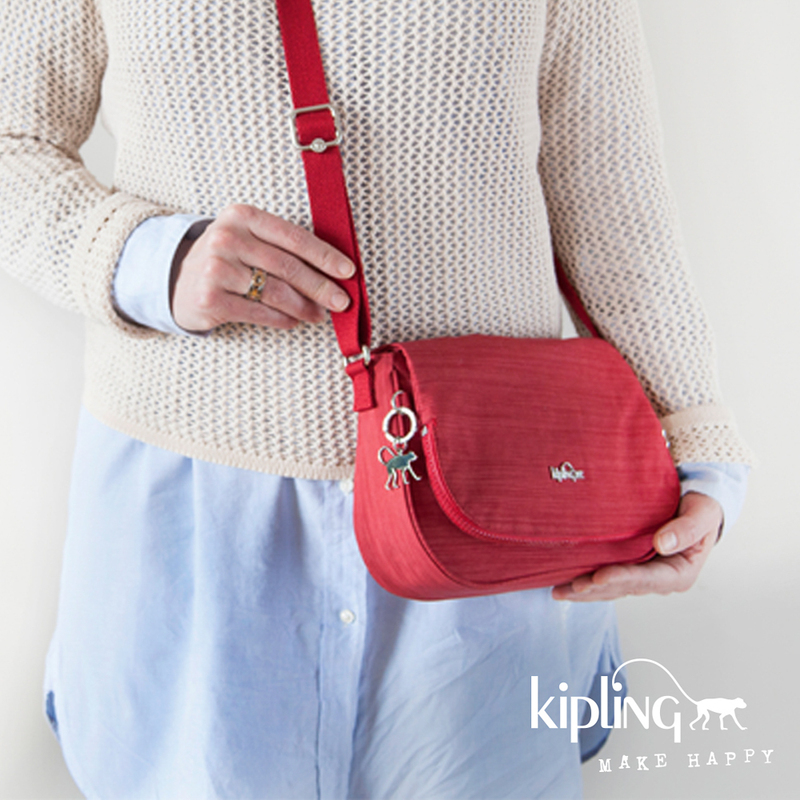 This new color accentuates Kipling’s classic Defea S bag and is sure to put the new collection with smiles on everyone’s faces. Designed for fun day trips, the extensive line utilizes new woven and cracked metal style fabrics that are full of personality and flair. These sophisticated textures can be seen across the Bagtrack backpack that can also be carried by hand. Casual and diverse, the backpack also mixes easily with daily outfit choices. 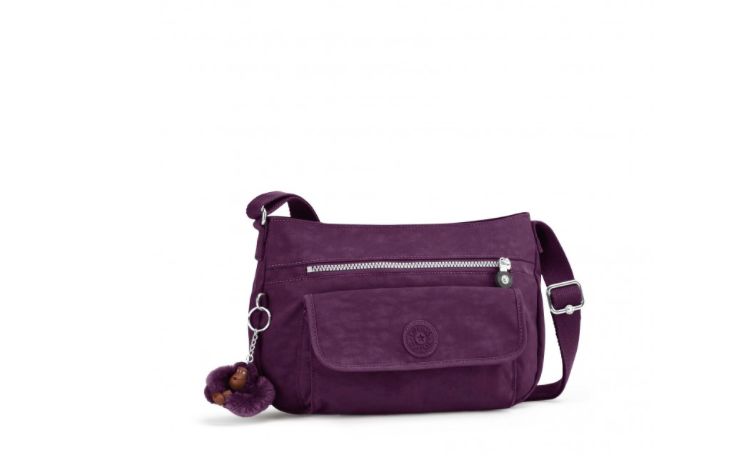 The range extends with the Sophronia in Plum Metal, a small shoulder bag with an array of well-designed compartments to help you stay organized and on-trend during outings or trips. On the other hand, Luxestagious in Diamond Black by Alexandra Levasseur is a new large A4-fitting shoulder bag with leather handles that match well with its deluxe wovens, providing a luxurious mix and match look this Fall. Kipling introduces Alex Bloom – a highly- anticipated exclusive collection designed by the acclaimed Canadian painter and illustrator Alexandra Levasseur, whose works have been featured in international magazines and festivals, as well as exhibited in prestigious museums and galleries. One of Alexandra Levasseur’s career highlight was her series of illustrations for SHOW studio during Fashion Week in Milan where she created artwork pieces that represented her interpretation of famous Italian designers such as Prada, Gucci and Versace. For 2016, she collaborated with Kipling where her artworks became backdrops for its visual images this Fall. In collaboration with Kipling, Alexandra Levasseur injects Diamond Blacks, Vibrant Reds and Jazzy Blues to Kipling’s usually vibrant styles to deliver unique differentiation in style and versatility. The collection’s print features steely toned blooms and winter florals, taking inspiration from flora and fauna, and elements of Kipling’s trademark monkey to reflect Alexandra Levasseur’s signature mishmash design, evoking memories of the season. First from the exclusive collection is the Art M in Alex Bloom print which features luxurious leather accents and combined textures to add an opulent touch to the perfect weekend bag. This classic and leisure bag will fit perfectly in your wardrobe. Whether you want to spend a day at the sea or yoga class in the city. It will win you over with the main zipped compartment, various shapes and spacious compartment. This juxtaposition of style and functionality carries through into the more compact Art XS and the purposeful Experience backpack, an elevated style with silver hardware and a dedicated space for a tablet or laptop. This stylish and versatile collaboration can be mixed in an abundance of shades and styles for that flawless look during trips. 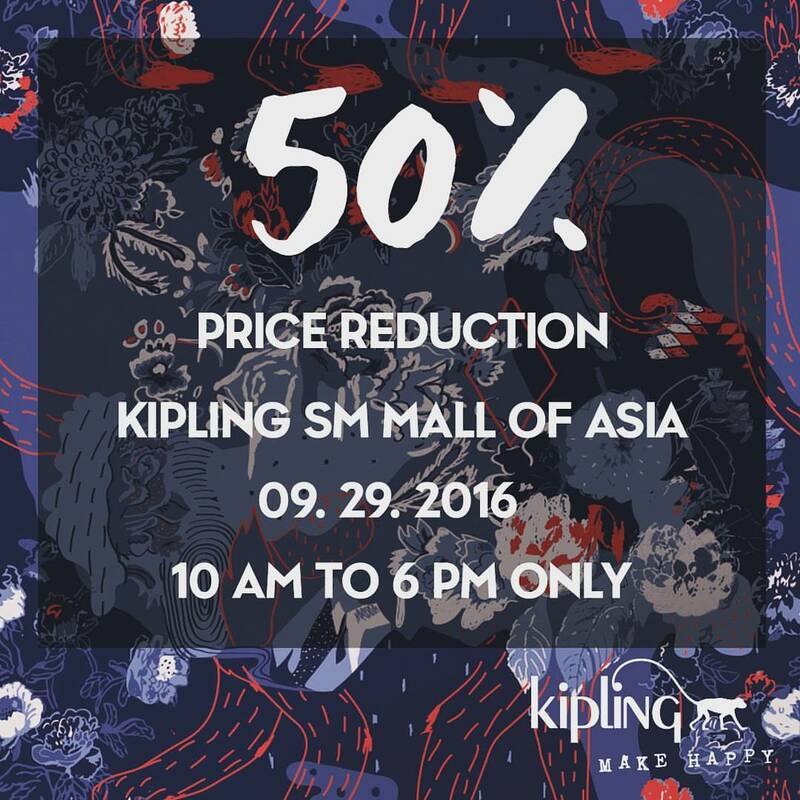 To celebrate the latest collection and re-opening of Kipling SM Mall of Asia store, the brand will be having a one-day sale! I’ve actually witnessed firsthand a Kipling sale during the SM Megamall store opening and I tell you it’s worth it! The Kipling fans lined up early to get first dibs on the 50% discounted bags. 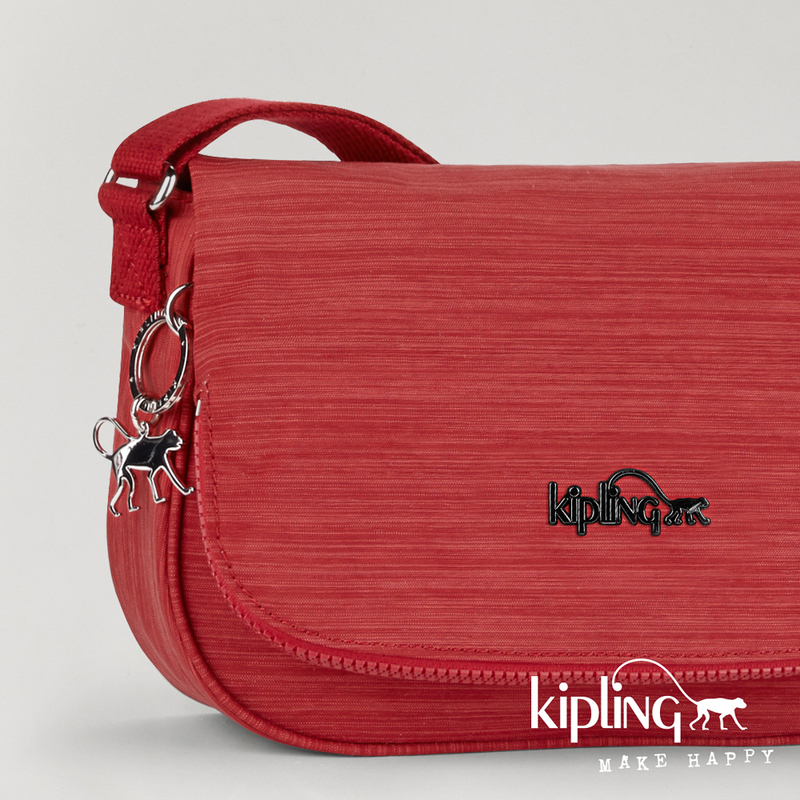 Don’t miss this chance to own a Kipling for half its price. Kipling Fall 2016 collection and Kipling x Alexandra Levasseur collection are available at all Kipling stores.